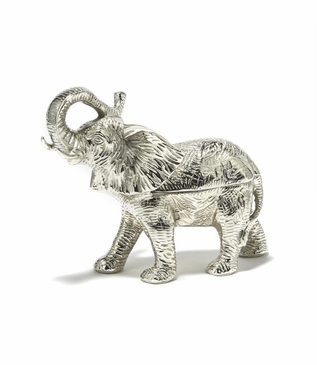 A circus of style. 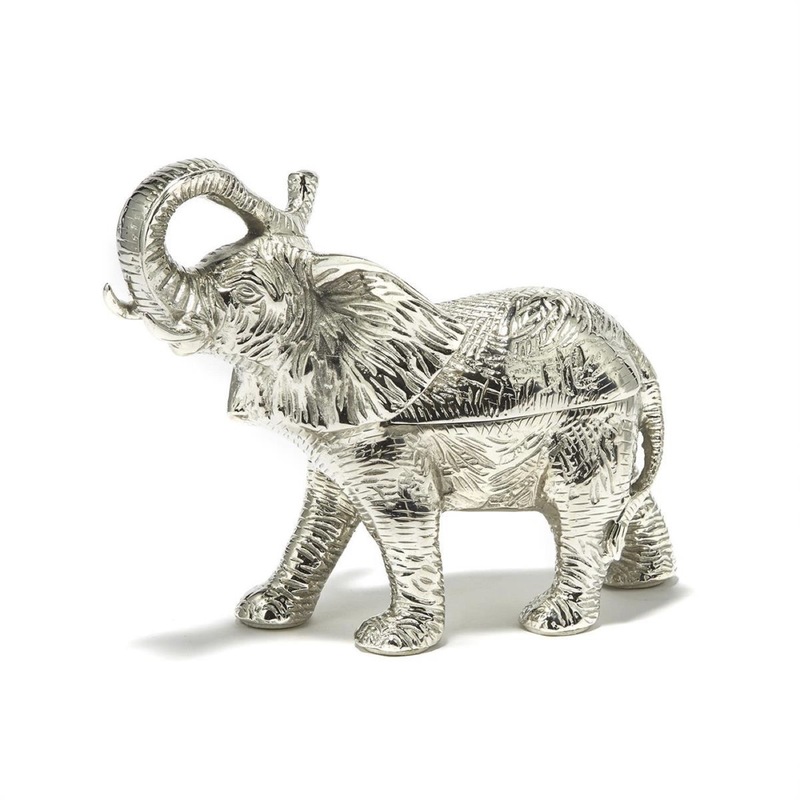 Made of nickel-plated aluminum, this charming elephant box add a whimsical touch to your decor. 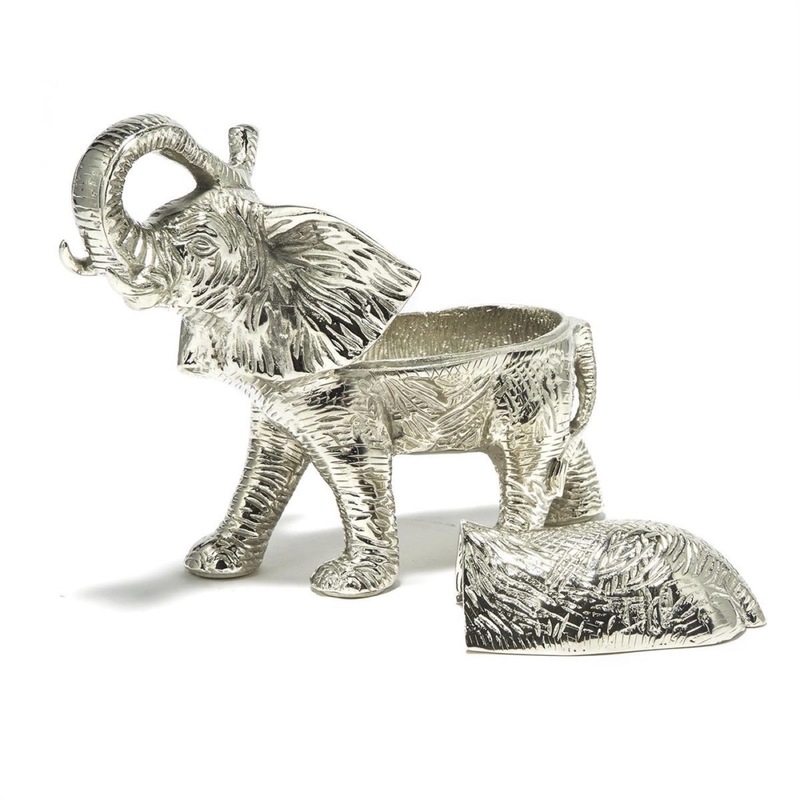 Perfect for storing small treasures or trinkets. Size: H: 7.5" • L: 9.5" • W: 4"